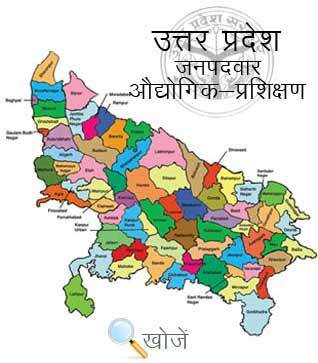 Hapur is located in Uttar Pradesh and a part of Meerut Division. The city is very famous for his Papads. It has many study centers imparting higher education to the students. But now a day’s technical knowledge is in demand. The technically educated student has great job offers. In fact, students can open their own business also. That’s why students enroll in various technical institutes as well. HApur has 3 Govt. ITI’s and 17 Private ITI’s in the city to provide technical as well as non-technical education to the students. They offered more than 130 trades to the students such as Computer Operator, Fitter, Dress Making, Digital Photographer, Electrician, Web Designing etc. In Uttar Pradesh, Vyavasayik Pareeksha Parishad (www.vppup.in) is responsible for conducting the entrance examination for admission to different courses in ITI’s. Students can also visit website www.upiti.in as well. It is a comprehensive database of information regarding admission, important notifications, results, online downloading application forms etc. to select the desired course. The courses duration is 6 months to 2 years. Age limit is up to 14 years. Required Qualification is 8th to 12th passed to register their name for these courses. After completing ITI, students can get NTC (National Trade Certificate) as well.